There are many properties for sale in Singapore, such as landed property in Sentosa, HDB flats in the Central Business District, and condominium in Hougang. The advantage of buying a landed property is that you will have a bigger space, but a landed property can be really expensive and unaffordable, especially for young working adults. 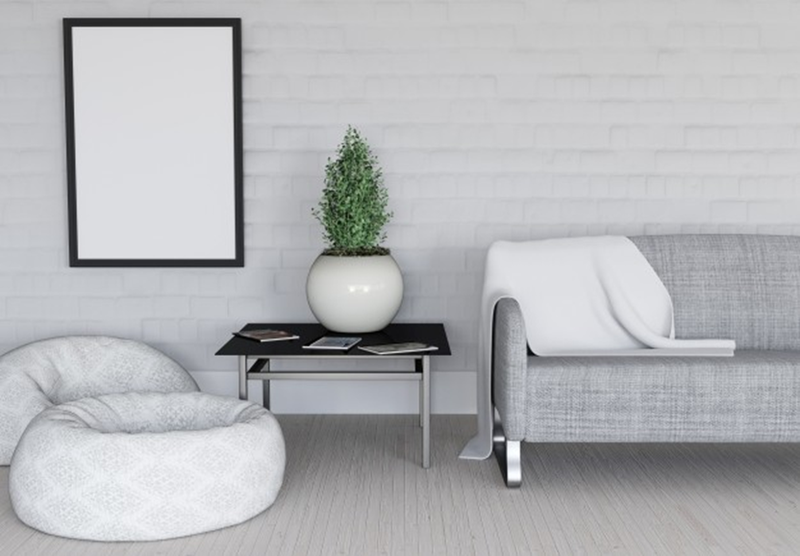 A condominium might not have a bigger space than a landed property, but fret not, this article will guide you through some tips to make a small space feel bigger. Choose the right proportion for your furniture that you want to place at home. Avoid getting furniture that is too big for your house as this will only make your space looks smaller than it already is. It is suggested to always keep some air or spaces between the walls and your furniture. In addition, avoid heavy and weighty furniture that eat up the spaces in your house. It is said that furniture which is lower and nearer to the ground will give a feeling of openness in the house. Hence, it is advised to place mattress direct on the ground or use a loft bed to create the feeling of openness in your bedroom. Although the above tip suggest to keep furniture as low as it could to the ground, you could choose furniture with legs if you do not like your furniture laying low to the ground. Furniture with legs allows air and light to flow in, which makes your furniture look like it is floating. You could choose furniture that are low and leggy to create a feeling of openness in your house.Opt for armchairs or sofas that are raised on legs to create a sense of space and light. Show off the legs! Mirror is said to be the fastest way to make a space looks bigger and brighter than it actually is. Whether or not it is a myth, it is true that they are good in reflecting sunlight in a room. However, it does not work the same when mirrors are placed in dim spaces such as the bathrooms as there are no direct sunlight for reflection purpose. Instead, you could use some framed mirrors to make your space appear brighter and more spacious. Not only they make your room appears larger, they can also reflect light coming into the room if placed across from light sources. Ditch the drapes around your house, such as curtains. Expose your windows as you want to allow natural sunlight to create a sense of depth in a small space. Natural sunlight plays an important role in creating a sense of openness in your house, making the space looks bigger than it is. If privacy is your concern, you could choose shutters or cloth blinds. White color reflects cleanliness and openness. Paint your house white to create a cloud like effect that enhances your house design. In addition, neutral colors give an illusion of a bigger and more organized space. Not only it is comfortable to the eyes, it also makes your space looks bigger than it already is. Minimalists will definitely like the idea of keeping the house white. Keep the pathway at your house clear from clutters. Declutter the pathway if you already live in a small space. Not only it helps in keeping your house neat and tidy, it also create a sense of openness in your home that makes your house looks more spacious. Avoid putting too many furniture at the hallway or pathway. This will also prevent you from bumping into those furniture. It is suggested to use soft breezy fabrics that absorb sunlights and promote airiness. Keep heavy materials because it weighs down the space. In addition, you could also add in some vertical stripes to make your space appear longer and bigger. Using tall furniture such as a tall bookshelf will also enhance the sense of openness and height of the space. Last but not least, keep everything simple. Less is more, so try not to buy too many furniture for your space as it only makes your space looks crampy and small. Avoid exaggerated patterns or drawings that could be too overwhelming for your house. Instead, go for paintings that are simple that will visually expand a small room. In conclusion, your HDB flat will definitely look more spacious if you follow the tips above. Most importantly, it does not cost as much as you think it would be. If you have the budget, you could definitely engage an interior designer to help you on the design. If not, you could always visit Pinterest to have a look on how people design their house.